The pack snarls, gnashes and bites. A song from Walt Disney’s Three Little Pigs seems an unlikely title for a dark, searing, epithet-laden play about two nasty, battling wedded protagonists. But so be it. 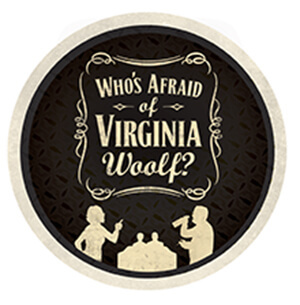 Edward Albee’s Who’s Afraid of Virginia Woolf? (1962) explores those craggy rocks. And evidently does it so memorably that it garnered a Tony Award for Best Play and the similar New York Drama Circle Award. Two actors in the cast also won Tonys and two Oscars went to members of the 1966 movie. “It exploded like a stealth bomb on Broadway, establishing Mr. Albee as the most important American playwright of his generation and setting a brave new standard for truth-telling — not to mention expletive-spewing — in the decorous world of the commercial theater” wrote Charles Isherwood in the New York Times. Albee, in fact, has won Pulitzer Prizes for A Delicate Balance (1967), Seascape (1975), and Three Tall Women (1994). And is equally celebrated for The Zoo Story (1958), The Death of Bessie Smith (1959) and The Sandbox (1959) all of which preceded this zinger.